The song "I'll Be Seeing You" was sequenced by Harry Todd and used with his gracious permission. This lake is just 1/2 mile outside Billings. Eagles are often spotted here. 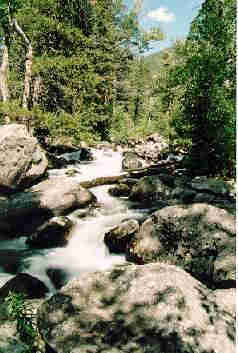 The beginning of a mountain stream...very relaxing and peaceful. 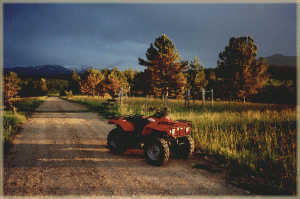 ATV's come in very handy to cover some ground in Montana. 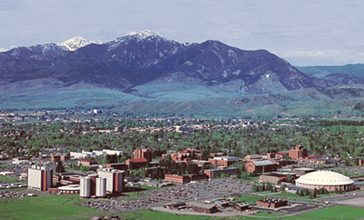 This is Bozeman, Montana. What a great setting for a city. 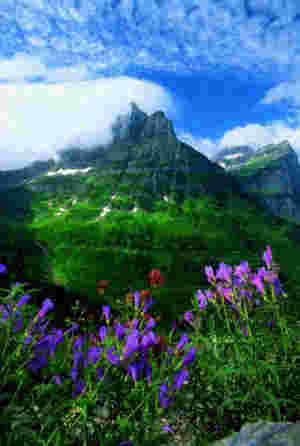 A nice view of Mount Oberlin in the Springtime. 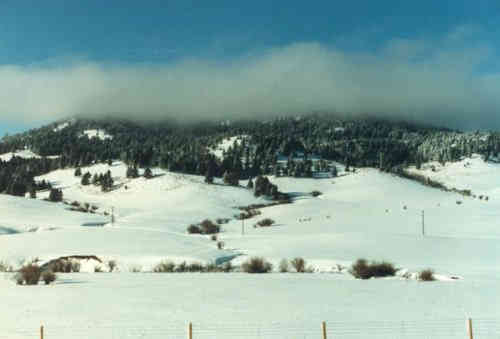 Winters can be harsh and long. 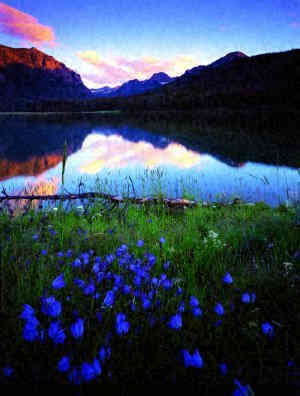 Montanans learn to appreciate the beauty of it. No need to fight it. 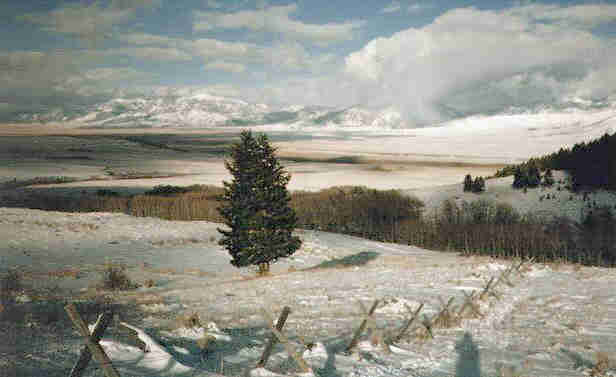 A solitary Spruce tree casts its shadow in a snowy field. Anyone bring along their fly rods? 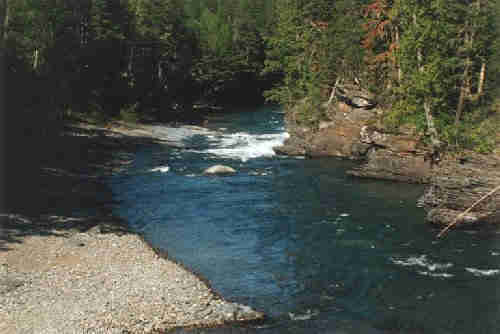 The fishing is great in this secluded river. 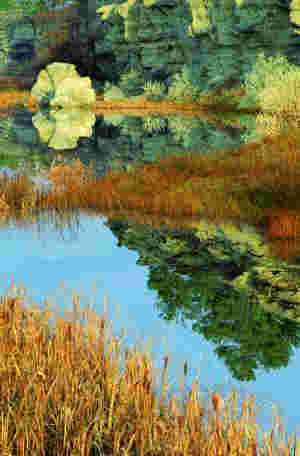 Autumn on the Musselshell River. 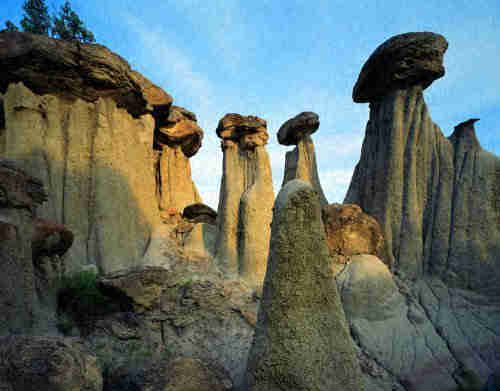 Unusual rock formations in Makoshika State Park. 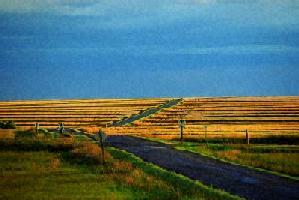 Ripe wheat fields in Montana's Golden Triangle. 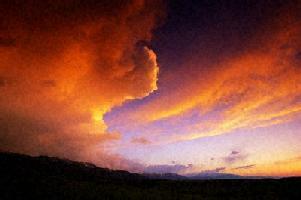 More of that big Montana sky. Looks like some thunderheads building up. 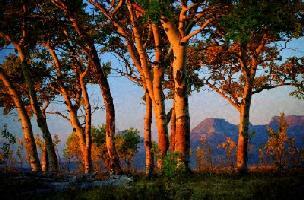 A stand of golden quaking Aspens. 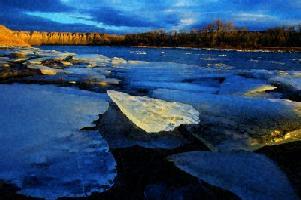 Ice sheets on a Montana river. Montana is one of the few states where you will find the gray wolf, a much maligned and misunderstood animal. 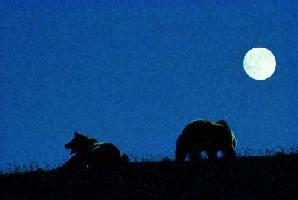 Grizzy bears by moonlight. Hikers must use caution (and noise). You don't want to sneak up on one of these bears...and you sure don't want to sneak up on two of them. 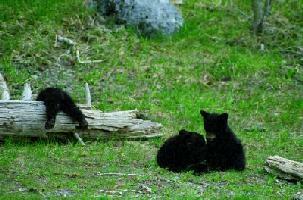 Three little bears. Wonder if they're looking for Goldilocks? 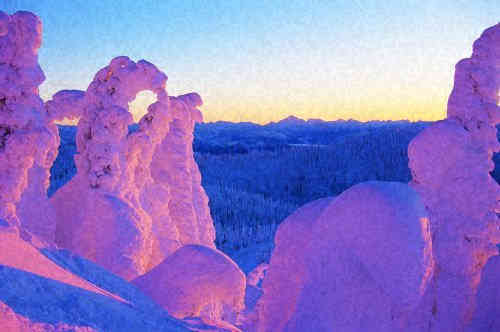 Snow sculptures look ghostly in the waning daylight. It's twilight time in beautiful Montana. This is not a pretty picture. It was taken in August 2000. Many forest fires are caused by lightning strikes, but many others, causing damage to millions of acres of forest land each year, are caused by careless smokers or hikers who do not put out their campfires properly. 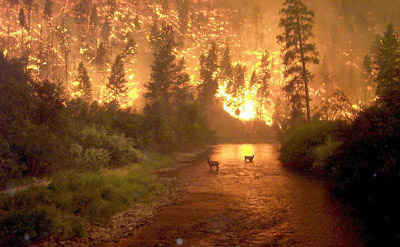 Please, if you visit a national forest during the dry season, be very careful with fire of any kind. 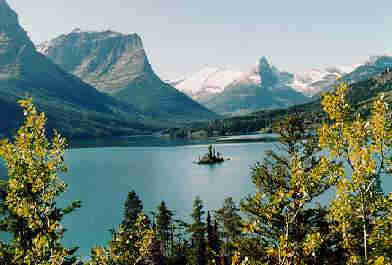 This is the end of the trail for Montana. We hope you've enjoyed your visit here. Don't you think it's worth coming back to see some day?